To reduce spam and offensive material, all submissions for this page must be added via melvin.ashton@outwoodwmc.co.uk (CIU Affiliate Member, life Member of owmc & lgwmc, Member of St Joseph's Catholic Club (Hunslet), and a Member of Bridlington Victoria Sailors and WMC). Guest Book Entries in Reverse Chronological Order ...... Refresh Here First ? Could our club offer ‘free membership’ until the end of the current membership year AFTER receiving full membership fee for 2016 ? Also, this offer might be made to member’s ‘spouses’, and other ‘guests’ as a sort of ‘amnesty’ ?? I feel that these measures could be advertised in our club, and elsewhere, to gain additional membership and attendance ! This suggestion has been 'actioned' and a collection box on the bar suggests £2.00 / member. £3.00 (three star entertainer) - In my opinion, there have been SEVERAL three star entertainers recently, noted by ourselves, the number of customers staying LATER, and, presumably, bar takings ! I am a Life Member and have recommended a website and WIFI to the committee of Outwood WMC for MANY years and have written SEVERAL letters to present and past Secretaries but have NEVER received a reply! (negative replies would be quite acceptable). Now long retired, I currently have several 'basic' websites, one of which was registered over 15 years ago as an example for OWMC. members and POTENTIAL NEW MEMBERS. OWMC. 'Google' calendars were also set up for the bowls team etc. 3) Could be a source of income - e.g. local and national advertising. 4) A link to current Facebook information can be included. current members and POTENTIAL NEW MEMBERS. 2) Could be used by members and their children, (under supervision). 3) Could be used by visitors or groups (POTENTIAL NEW MEMBERS). the lounge and discuss Outwood friends, relatives, places, etc. It seems that the outcome of the previous Committee Meeting was to discuss closure on Saturdays only - or at least no artistes - from now until, possibly, mid October after the holiday season. Apologies for my misunderstanding the situation. However, I believe most of my comments to be valid: If closed, even for a short period, it will only postpone financial problems and will have a detrimental impact on attendance and membership. No artistes MAY have similar effects, though 'bingo' and low level background music to allow conversation might work? At least parents with children could then attend, (in most cases, no work on Sunday mornings). Some years ago, similar tactics were tried on FRIDAY evenings (which also had entertainment, bingo, etc.) The idea was to re-establish bingo in the lounge and, if / when, attendance increased sufficiently, to move back into the Concert Room. Though John Lambourne, Gerry & Jayne Beaney and about a dozen fairly regular attendees have tried, numbers are not increasing and it is unlikely to improve in the foreseeable future. LOUNGE: Facilities in the Lounge are as good as in many pubs and were used quite extensively some years ago. For some reason member attendance in the lounge has also reduced significantly. WIFI facilities in the lounge 'MAY' attract more customers (see my wifi comments below). As an example, after leaving Outwood Computer Club meetings on Wednesday evenings, my wife June and I visit lgwmc where I can use my iPhone & iPad with their free wifi facilites. Though 9:00pm plus, this results in a '6 pints loss' from owmc and a '6 pints gain' to lgwmc. Over a year it adds up a little ?? Possible comments for use at the 'Special Members Meeting' on Sunday 28th June, 2015. These comments are personal and I hope that they do not cause offence to current Committee Members or current Members; I would welcome any replies regarding the following comments, please email to the email address given above. 3) lighting and, in cold weather, heating costs. If Saturday evenings are cancelled however, it is likely that members with children are likely to attend other clubs, e.g. Lofthouse Gate or elsewhere. They may then terminate membership of OWMC and could be lost forever - including Sunday evenings. Similarly, cancelling Sunday evening entertainment is likely to have drastic consequences for BOTH evenings and club membership in general. HOW DO WE SOLVE THIS DILEMMA ? Yet another drive MUST be made to gain more members and to convince current members to attend more regularly. A new member is unlikely to attend without family or friends and, hopefully, they in turn may well introduce others ! This can only be achieved by ADVERTISING - by 'word of mouth', local shops / fish shops etc. More display of the Club's current websites or improved websites, including Facebook. Cancellation of 'The Review' has made it difficult for me to update the Entertainment Calendar (the Agents have emailed me information in the past but not recently). Use the Entertainment Calendar 'back arrows' to view previous information; to January, 2015 and earlier?. WIFI: I have suggested, several times, by letter to the Secretary, and comments to others that 'Our Club' should have WIFI facilities. Such facilities are now 'the norm' in Clubs, pubs, cafe's, and other businesses. WIFI facilities would surely be useful to Committee members and other members? 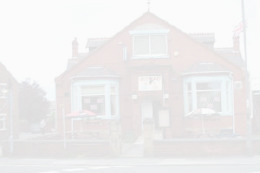 Meetings of other people and groups may well use Outwood WMC as a venue for their meetings and social 'gatherings'. Once used, such groups may meet regularly - in the Lounge or Concert Room. Some attendees may well become members and recommend OWMC to other friends and relatives. OUTWOOD NETWORK: - a private group within Facebook - has grown VERY RAPIDLY in recent months and several comments refer to present, past, and 'late' members of OWMC. Comments have been made that some of the group might meet up at some suitable venue. Perhaps OWMC could offer facilities, possibly including a buffet, for one or more meetings for group members. Some of the group may feel it beneficial to become members?? CONCERT ROOM FACILITIES: My wife, June, & I had a VERY enjoyable party on Friday, 12th September, 2014 to celebrate our wedding on 30th August (my 74th birthday). Though room charges were refunded, due to a very successful evening, we feel that Concert Room functions should be offered F.O.C. to Members. Friday functions normally provide good profit AND PUBLICITY for the club. June & I were NOT charged for smaller functions that were provided at 'Bridlington Sailors Club' and St Joseph's Catholic Club. As far as I am aware, no charges are requested by lgwmc for use of their Concert Room by Members. Please note that these Outwood WMC web pages were created MANY years ago by myself and were 'unsolicited'. Several letters were sent to the current and previous Secretary's but I never received a single reply, written or verbal ! Several years ago, I deleted all information other than the 'Entertainment Calendar', which I use regularly, along with the 'Lofthouse Gate WMC Entertainment Information', in order to determine which Club to visit. June and I are Life Members of both clubs. My web stuff is 'WAY OUT OF DATE' and I would welcome any comments, including constructive criticism. I would also welcome someone to take over as webmaster and, subject to acceptance by the Committee, I would be prepared to allow use of the url (www.outwoodwmc.co.uk which I have registered for some 14 years (F.O.C. to the club). The url was initially registered via UK2.net and later via 123-reg. Several Email addresses have been set up for the current OWMC Committee and Team - more can be added via the links under the currently available 'Team' Email addresses. Regards, Melvin Ashton (Mel) Provisional Webmaster.